Warning: prices, links and product specifications for LG 19MB15T are submitted by our listed stores. Please notify us if you find any errors. 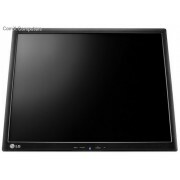 Only on ShopMania you can choose from hundreds of online stores delivering in Johannesburg, Cape Town, Port Elizabeth, Pretoria, Pietermaritzburg, Polokwane, Durban and all over South Africa, and find the best deals for LG 19MB15T (19 inch (48 cm) screen size LED, 1280x1024 pixels resolution, 250 cd/m2 brightness, 1000:1 contrast ratio). 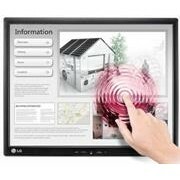 Here you can compare monitors offers, browse the LG 19MB15T photo gallery and find out all about its features. Read product reviews and comments from the users in ShopMania community, learn about the last-minute discounts and find the lowest LG 19MB15T prices available. 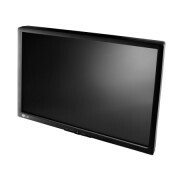 The 19 inch (48 cm) screen size of this monitor is enough for reading emails, browsing the web, viewing photos or editing texts, home or at the office With a 1000:1 contrast ratio, this monitor ensures a clear screen illumination, but it is unsuited for viewing under either weak or strong light. With a response time of 14ms, the images displayed by this monitor are impeccable.